The Timber Merchant Of Stoke On Trent & The North West. Since 2007 Hymor Timber has been both commited to purchase where possible timber from sustainable sources. The F.S.C.® and P.E.F.C. certification schemes are globally recognized schemes to ensure that timber has originated from sustainably managed forests. 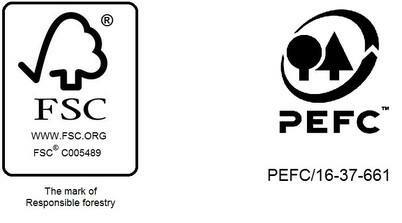 Both Certifications are a voluntary market mechanisms designed to improve forest management globally. It allows the consumers to select products that come from well-managed forests.